I got this recipe from All Recipes.com and made it this weekend. The color is a little off-putting because it looks like Campbell's Tomato Soup. But it is a nice change from regular marinara sauce. 1. Bring a large pot of lightly salted water to boil. Add pasta and cook for 8 to 10 minutes or until al dente; drain and reserve. 2. In a large saucepan melt butter over medium low heat; add vodka, red pepper flakes and Worcestershire sauce. Stir well and simmer for 5 minutes. 4. Reduce heat to very low and stir in cheese; add cooked pasta and more cheese if desired. The colour is most definitely NOT offputting! 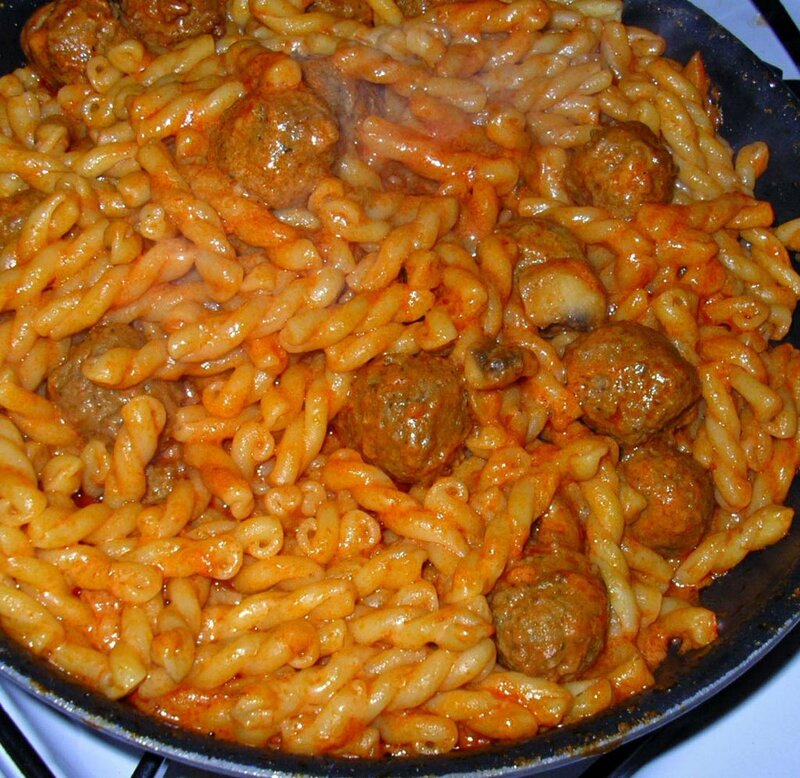 I love pasta with vodka sauce. I make it often and the version you made is very similar to the version I made. My mouth is watering looking at your photo. When are you going to stop living the lie that you don't cook??? I DON'T BELIEVE YOU!!! I didn't say I didn't cook! I said I was a simple cook. I'm not anywhere near your league - cooking, writing or photography. Your net corener is very nice. I am the first time here and I am sure I visit you more often now. Pasta in Vodka Cream Sauce sounds great :o)). I have to cook these dish. Even at 12:01am, that looks good! I'll have to give that one a go! Thanks for stopping by my place, Sally, and for you very kind comments. Thanks for stopping by and leaving a nice comment. Hope you come again soon. Thank you for the nice comment. It WAS very good! LOL Loved your blog. People like you and Ivonne and Kate and Elise and Biggles all inspire me. Thank you.